If you know who is responsible for a crime, or if you have any information that might be helpful to law enforcement officials, please call CrimeStoppers at 901-528-CASH. You also can submit a tip anonymously via secure texting or webmail. To find out how, visit our Tips page. View the list of Memphis' Most Wanted Fugitives. If you have any information about any of the fugitives shown, please contact CrimeStoppers. Awards over and above regular CrimeStoppers awards are sometimes offered by individuals and groups to help solve cases. Call tips or extra award queries anonymously to 528-CASH (2274) or via secure email: www.528cash.org. You are visiting the official website of CrimeStoppers of Memphis and Shelby County, where you can learn about our many programs, keep up with Crimes of the Week and the latest fugitives sought by law enforcement, read about hot and cold cases, make a tax-deductible donation … or submit a tip. 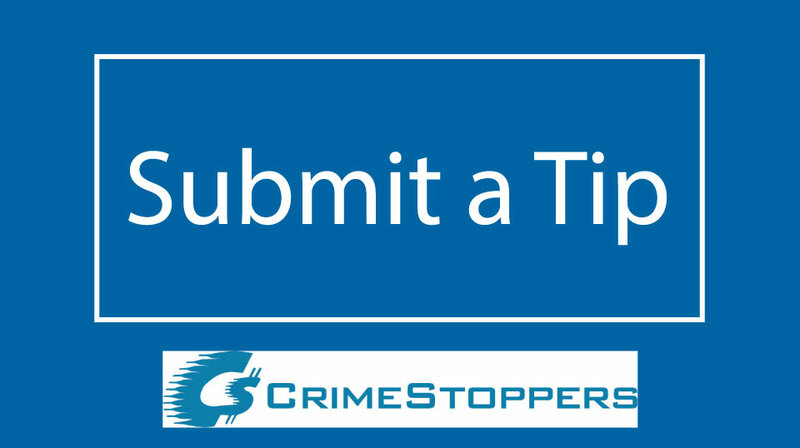 If you have information about a crime or fugitive, submit a tip to CrimeStoppers. Learn more about submitting a tip and what information may be helpful to law enforcement officials. 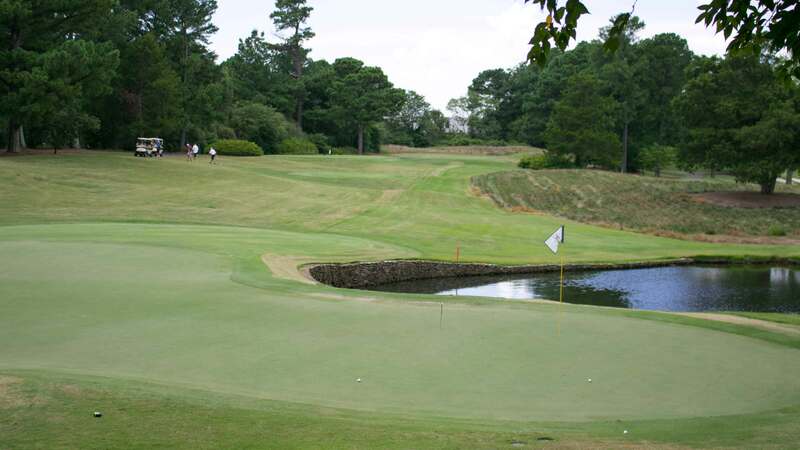 We enjoyed a great Second Annual CrimeStoppers Golf Tournament on August 6. Click on the image above to find out more and to see our sponsors list. CrimeStoppers also created a website to help people who speak Spanish as a first language in Memphis and Shelby County to know how to participate in CrimeStoppers through tips about crime and criminals. 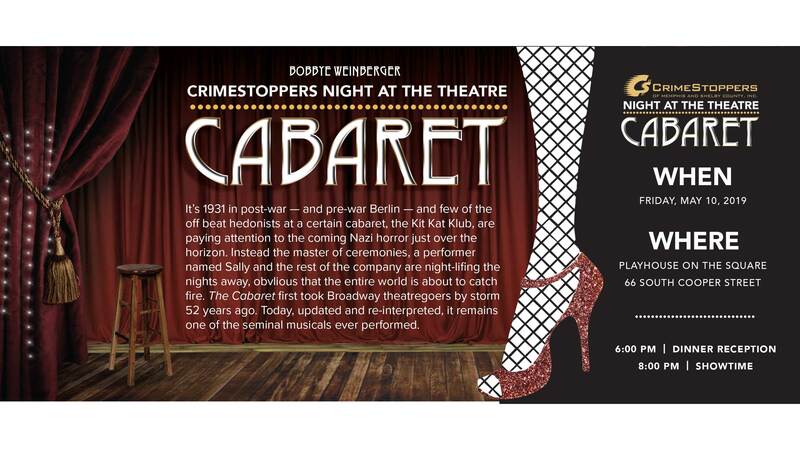 CrimeStoppers will be presenting Cabaret at the 8th annual Night at the Theatre event on Friday May 10, 2019. Read more information about this year's event by clicking the image above. 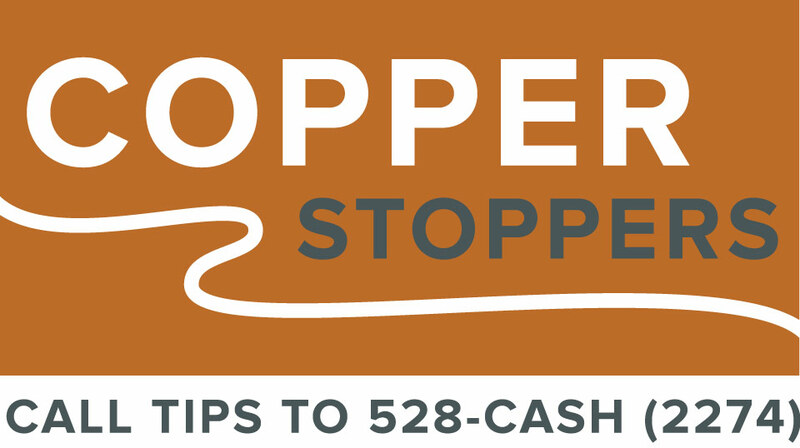 CopperStoppers is a program created by CrimeStoppers of Memphis and Shelby County, in collaboration with merchants and business associations, to fight the theft and illegal sales, purchases and transportation out of town of copper and other scrap metals. 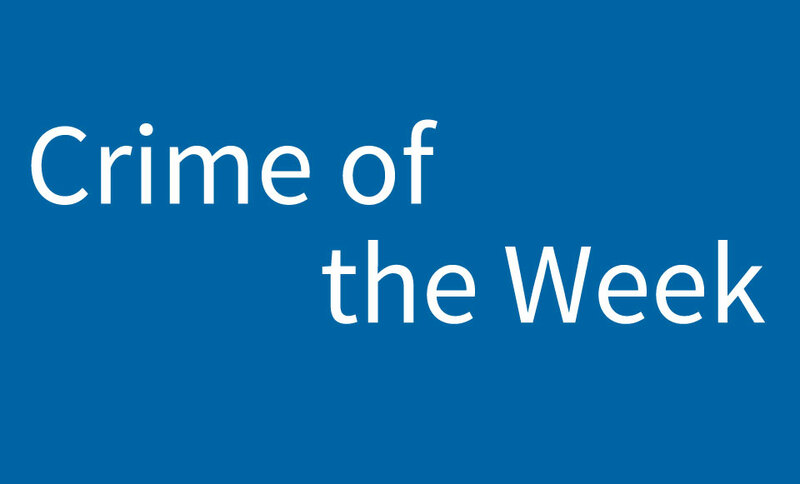 View the Crime of the Week. Memphis Police need help from the public to solve these crimes. If you know any information to help Police, submit a tip. 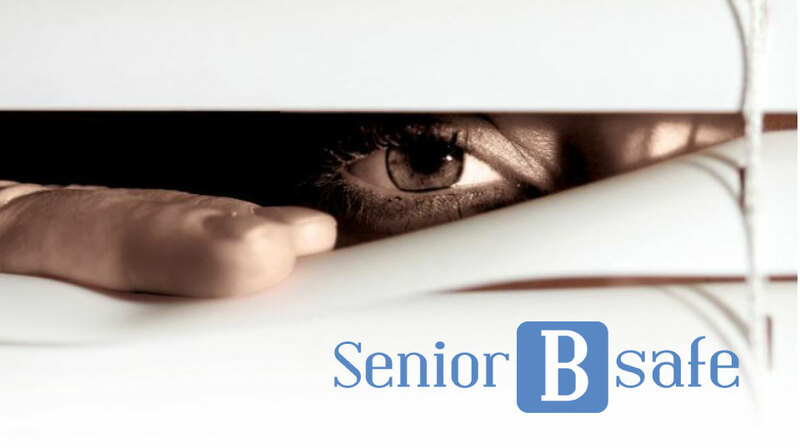 SeniorBsafe is an initiative of CrimeStoppers of Memphis and Shelby County. The program is targeted primarily at senior citizens, (and their families and caregivers) who are afraid in their homes and neighborhoods and unsure where to find help. 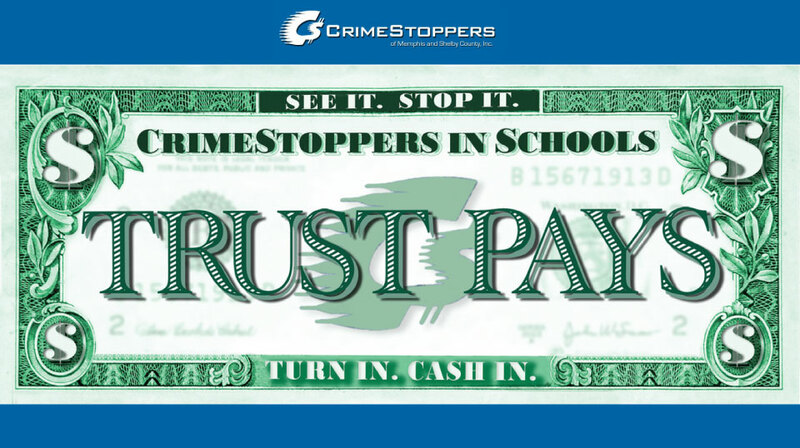 Trust Pays is a program for public schools that provides a way for good students to confidentially inform the principal through a trusted faculty member about serious incidents that have occurred or are planned on school grounds. Read real stories of how anonymous tips submitted to Memphis and Shelby County CrimeStoppers helped law enforcement solve cases. CrimeStoppers of Memphis and Shelby County remains a vital tool in fighting and solving crime in our community. Because citizens pay attention and want to help bring criminals to justice, they anonymously contact us with tips — by calling our hotline or texting us, or by sending a tip by web mail. When tips lead to arrests, we pay cash. CrimeStoppers has created four related programs that serve specific segments of our community: Senior Citizens, Students, hispanic-speaking people and anyone affected by or aware of copper theft. 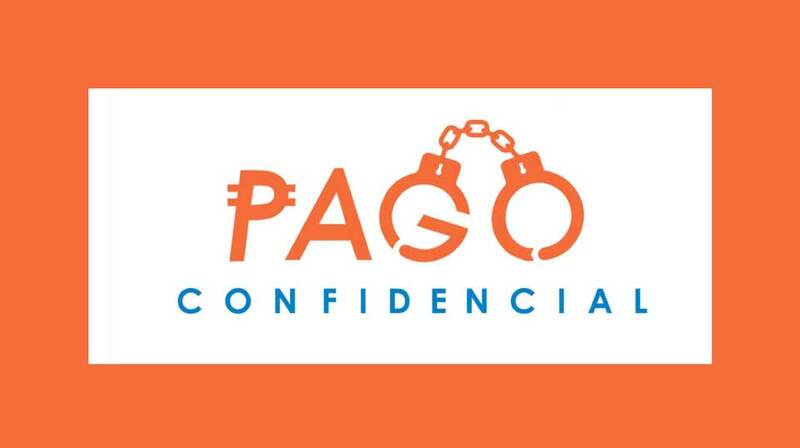 We are an independent, nonpartisan and nonprofit citizen-run organization whose objective is to fight crime and make criminals pay for their actions. We do that without direct city or county tax dollars, We stay open and in operation thanks to those citizens and businesses who support us every year. 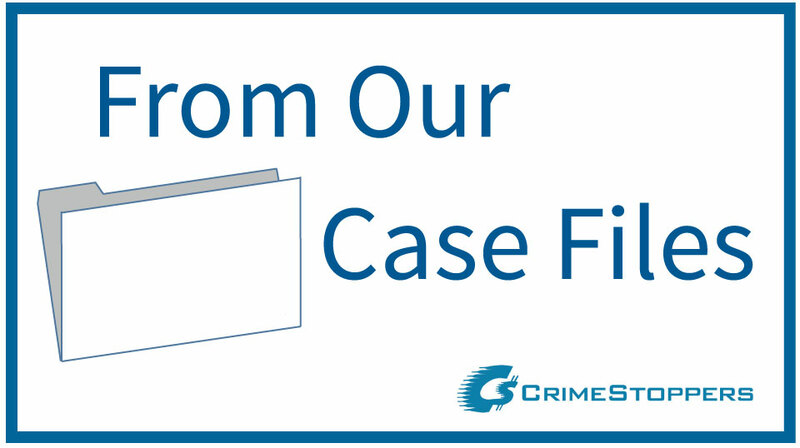 Your contribution will help CrimeStoppers continue doing this vital work.